Borchardt is the club’s recipient of the Jack W. Casper “Service Above Self” community service award. Borchardt has been an active volunteer with the Neenah Boys and Girls Brigade for 22 years. The award is presented to a non-member of the club who lives or works within the School District boundaries and is at least 20 years old. The individual must display out-of-the-ordinary long-term service to the community and demonstrate a high level of personal and professional integrity. Borchardt has led the “STRIVE” program for at-risk students at Neenah High School. He also oversees the school’s “LAUNCH” program where upperclass students serve as leaders for incoming freshmen. Borchardt has been instrumental with the school’s “Runner’s High” program and also serves as an advisor for the ski club. He has recently led student service trips to Kentucky and Dominican Republic. He will be taking a group to China later this month. Outside of Neenah High School, Borchardt was a camp director for the Boys and Girls Brigade Leadership Training Camp for five years and helped lead a trip to Denmark. He is currently volunteering with a cooking workshop for eighth grade students through the Brigade. 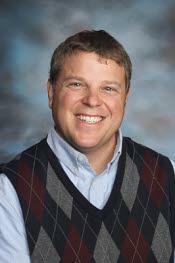 Borchardt began teaching in Neenah in 2007 as a social studies teacher at Shattuck Middle School. He has been working with at-risk students at Neenah High School since 2010.